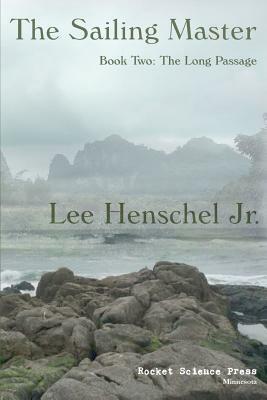 The Sailing Master – Book Two: The Long Passage by Lee Henschel Jr. Conflict. Love. Commitment & Betrayal . . . all abound in this intrepid novel of the sea set in the Golden Age of Sail. The looming shadow of the Napoleonic War dims the waning glow of the Enlightenment, yet Owen Harriet’s heartfelt narrative provides insight into the human condition. And an overarching question emerges . . . is this chronicle simply the story of a man, or of an entire age? From the opening broadside at the Battle of the Nile to the ironic conclusion off Ushant, Owen continues to come of age, maintaining a steadfast relationship with his beloved mentor, Ignatius Comet Lau, HMS Eleanor’s esteemed Sailing Master. Deep within French Indochina. Lost on the Mekong River. Owen befriends an inscrutable boy monk, only to fall prey to a demonic French privateer. A powerful enigma continues to haunt Owen and he begins to understand. A premonition of unknown origin? An Oracle? Or a remnant calling from his own childhood imagination. book review, Britain Historical Fiction, French Revolution - Napoleon, Naval, Naval/PirateBritish Naval Historical Fiction, Lee Henschel Jr.